As a result of his controversial works criticizing the Russian government and the Russian Orthodox Church, Tolstoy was excommunicated in 1901, dismissing the event lightly as he continued his search for a practical religion. 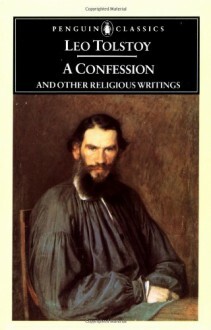 "A Confession and Other Religious Works" is the product of years of introspection, resulting in a drastic reorientation of Tolstoy's beliefs and values. He felt undeserving of the wealth and fame he had accumulated, while millions around him were illiterate and afflicted, and therefore sought an acceptable faith wherein he could find the answers to life's most profound questions. In this autobiographical work of exceptional emotional honesty, he records his various attempts to find those answers in areas of science, philosophy, eastern wisdom, and the opinions of his fellow novelists. As a result of this process, Tolstoy recognizes in ordinary people a deep religious conviction, in which he may find the true answers to questions without which life, to him, is impossible. This collection includes Tolstoy's "Confession" as well as the following three other religious essays: "What is religion? and What is its Essence? ", "Religion and Morality", and "The Law of Violence and The Law of Love." Still excited for my Tolstoy and Dostoevsky class!